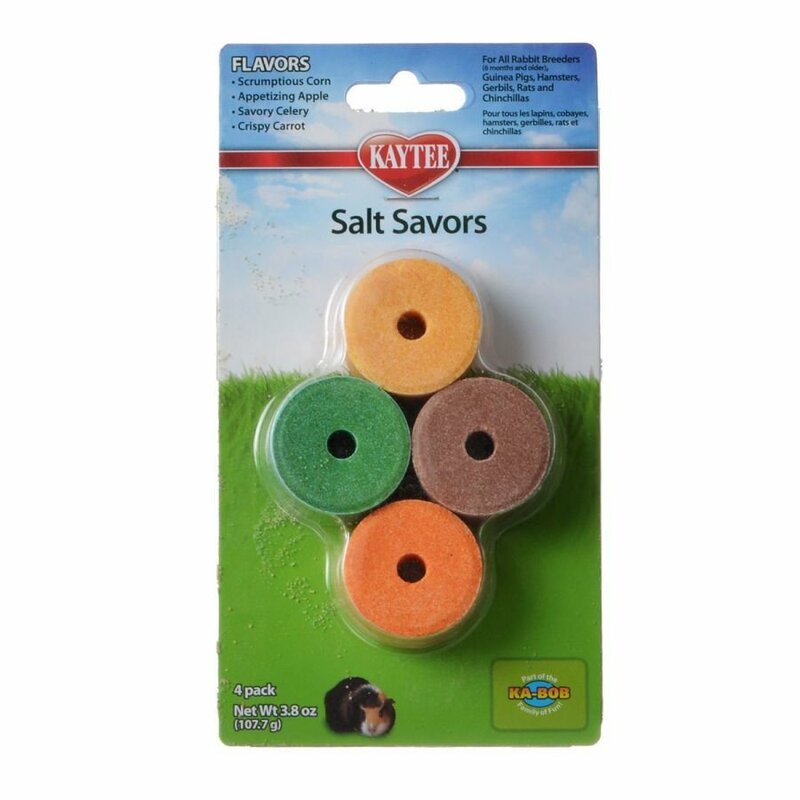 Salt Enriched With Carrot, Celery, Corn and Apple Flavors. Pack Includes All Four Flavors. A Necessary Source Of Salt and Minerals. For Guinea Pigs, Hamsters, Mice, Gerbils, Pet Rats, Chinchillas and Rabbits. Salt encriched with carrot, celery, corn and apple flavors. 4 pack includes all four flavors. A necessary source of salt and minerals.